The main attraction at Iles des Palmes is in the sea. The hotel lays traditional bamboo fish trap and collect them during the day. Guests are allowed to participate and all fish caught are free for guest. This goes down very well since the hotel is self-catering. Nowhere else in the world visitors can get fish as fresh. The second biggest attraction is Pirate Cove, which is just around the corner from the hotel. The water is very good for snorkelling and because the Pirate Cove is only accessible by boat the setting is very private, perfect for honeymooners. Another thing that goes un-noticed at Iles des Palmes is the 500 meter retaining wall used as break water to prevent the beach erosion. This wall was built by slaves some 300 years ago. If you look closely you will see that the wall was not built with cement but with red earth and coral ash. Vallee de Mai world heritage site is the biggest attraction on Praslin and only about 6 km from Iles des Palmes. 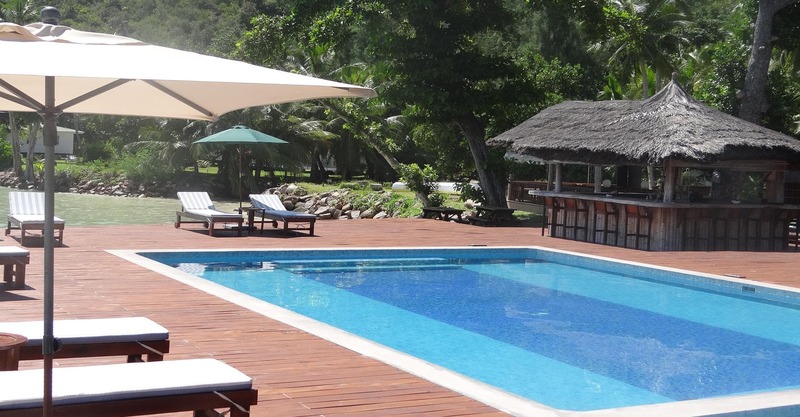 Cote d’Or area offers white sandy beach, a true signature of Seychelles’ beaches. 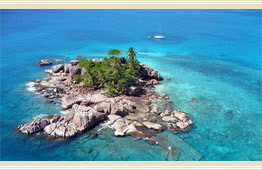 Cote d’Or is also the spring board to visit other smaller islands like Cousin, Aride, Currieuse, Coco and Sister Island. Anse Lazio, the world number 1 beach, and Anse Georgette are must visit places. Dining out, Cote d’Or provides the mixture of creole and European dishes. However, if you prefer you can dine in and make use of our duty free wines (allowance of 2 bottles per adult). Iles des Palmes can order the meals for you. Another major attraction on Praslin is the bottom fishing. Winners of the major fishing tournaments came to the island last year. Red fishes like Snapper and Groupers are common. If you prefer trawling you have to pick your period properly. Marlins are around from January to March; Sail Fish and other surface fishes from May to October. If you like to get under water there are dive centres located at Cote d’Or. 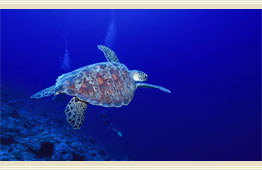 Even if you are not a diver there are programs for none divers to experience at least one dive.